This morning I am delighted to bring you the brand new Christening Gift collection from Kate Lewis Design. I have personally worked with Kate for a couple of years and her dedication to attention to detail as well as offering exceptional customer service has proven her work to be highly sought after. 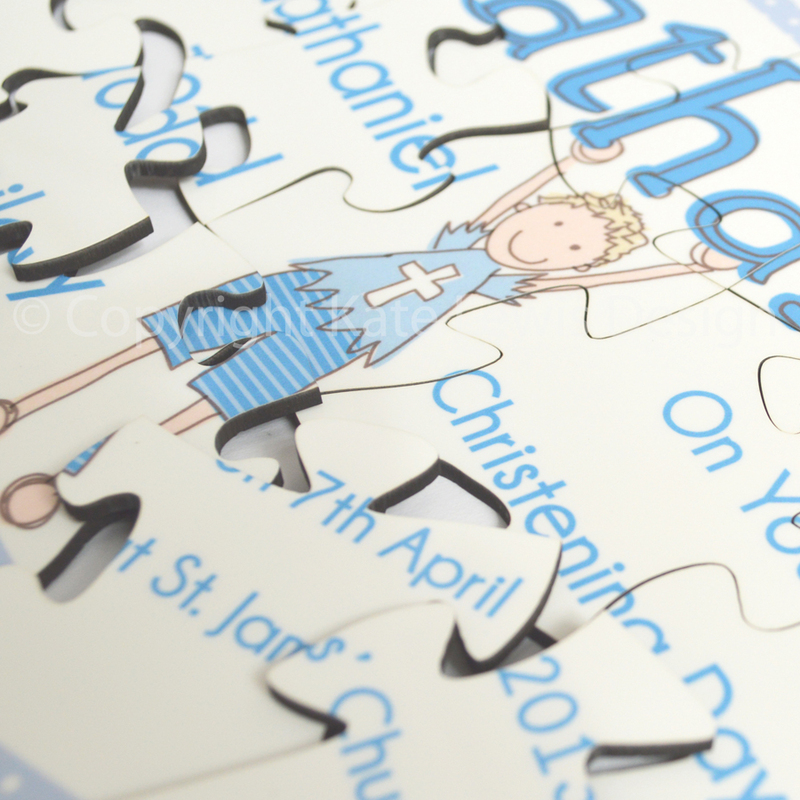 Church Christening Invitations ~ A pack of eight fully personalised Christening invitations, complete with brown craft envelopes. This design features an original illustration by Kate Lewis of a cute little church on top of a hill. 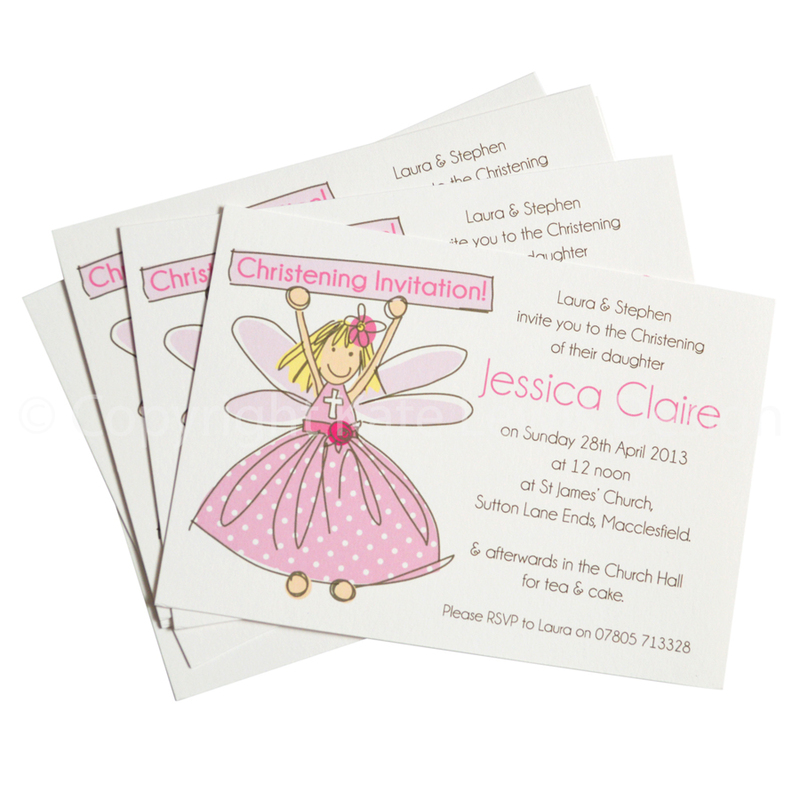 Fairy Girl Christening Invitations ~ A pack of eight fully personalised Christening invitations, complete with white quality envelopes. This design features an original illustration by Kate Lewis of a cute pink fairy girl holding a sign. 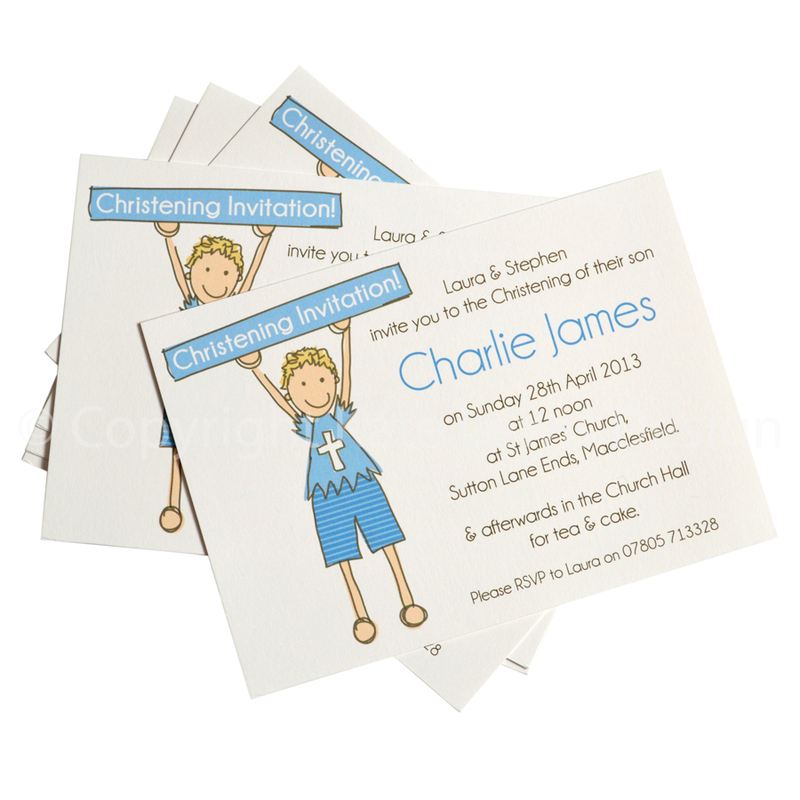 Cute Boy Christening Invitations ~ A pack of eight fully personalised Christening invitations, complete with white quality envelopes. This design features an original illustration by Kate Lewis of a cute little boy holding a sign. 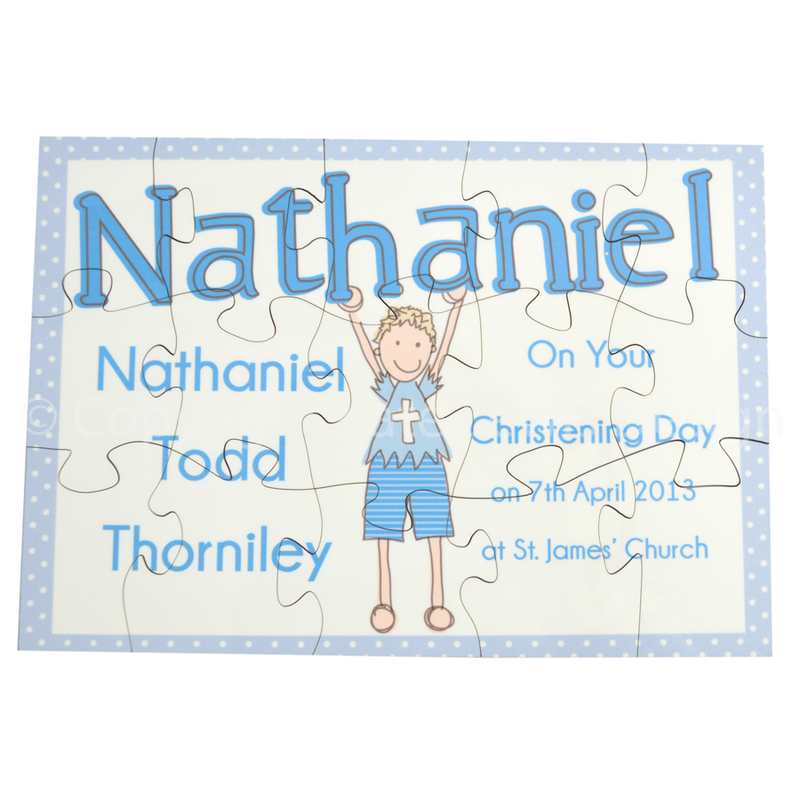 Personalised Christening Jigsaw ~ This 15 large piece wooden children’s jigsaw is fully personalised with name, christening date & church! Choose from 3 designs: church on a hill, fairy girl or cute boy. 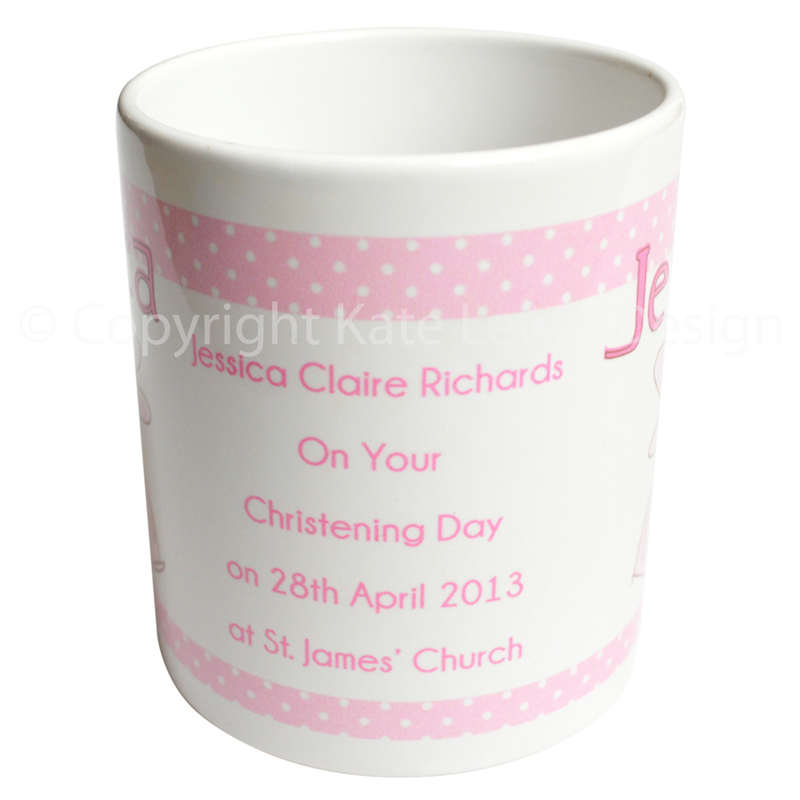 Personalised Christening Mug ~ This earthenware Christening mug is fully personalised with name, christening date & church! This design features an original illustration by Kate Lewis with a spotty border to match. Choose from 3 designs: church on a hill, fairy girl or cute boy. Personalised Wooden Christening Block ~ This beautiful wooden Christening block is fully personalised with baby’s name, christening date, baby’s initial and a message from you! To view some of Kate’s other beautiful products please visit her website.